Set for a 21-March launch, PSLV C-45 will carry an Indian electronic intelligence satellite, and 29 guest satellites from other countries. Bengaluru: The Indian Space Research Organisation (ISRO) has announced that the PSLV’s flight on 21 March will be its first attempt at inserting satellites into three different orbits. 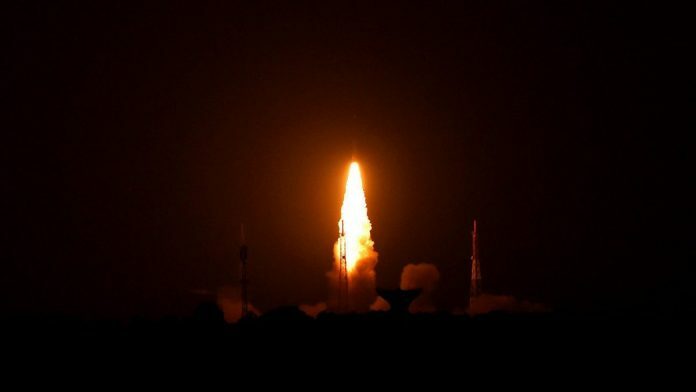 The flight will carry a total of 30 payloads: EMISAT, an Indian ‘electronic intelligence’ satellite, and 29 guest satellites from other countries. The PSLV has placed satellites in two orbits since 2016. ISRO chairman K. Sivan said last week in an interview to ANI that the space agency is getting ready to launch the next PSLV mission — called PSLV-C45 — which would place the Indian satellite and all customer satellites in three different orbits for the first time. The rocket will first place the electronic intelligence satellite at an orbit of 763 km, then fire twice to climb up to 504 km to release the 29 guest satellites, before the fourth stage performs two orbital manoeuvres to orient and insert itself into a 485 km orbit. In another first, the PSLV will fly in a QL configuration — it will use four strap-on boosters instead of the traditional two, six, or zero configuration. The fourth stage of the rocket will also use solar panels for power when in orbit, unlike the PS4 stage of the PSLV launched in January, which survived on batteries — this will also be a first for ISRO. The stage will remain in orbit for about six months and carry out science experiments using microgravity. It will contain a small payload weighing less than 10kg built by the Indian Institute of Space Science and Technology (IIST), Trivandrum. The Indian electronic intelligence (ELINT) satellite to go up on the rocket is called EMISAT — Electromagnetic Intelligence Satellite. 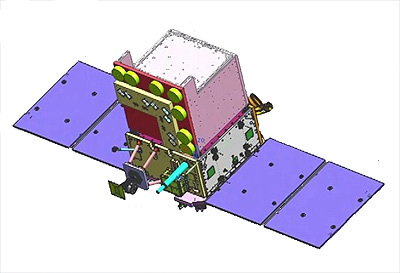 The advanced satellite has been co-developed by ISRO and Defence Research and Development Organisation (DRDO) under Project Kautilya with a budget of Rs 432.8 crore. It is built on the same basic architecture as HySIS using the Small Satellite Bus 2. It is a small satellite and weighs less than 500kg. ELINT satellites, reconnaissance sats used for defence purposes, are often also referred to as electronic spy satellites. The details of EMISAT are still unclear, but typical ELINT satellites are capable of intercepting radar and microwave signals. EMISAT has been in the works for almost 8 years now. It’s also unclear whether EMISAT would eventually be a constellation of signal-intercepting satellites or just a single eavesdropper. Sivan also confirmed last week that the Chandrayaan-2 craft to the moon, carrying the Vikram lander and Pragyan rover, will launch in April.